Maine Mendoza (right) fangirls over Anne Curtis (left) after the ABS-CBN actress/host/concert performer held her third concert, Anne Kulit: Promise Last Na'To, at the Smart Araneta Coliseum last Saturday night, August 18. 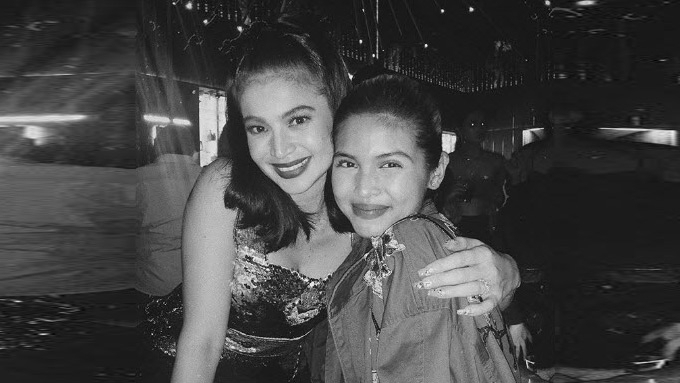 Maine Mendoza posted a fangirl photo with Anne Curtis after watching the ABS-CBN actress/host/performer's third concert Anne Kulit: Promise Last Na 'To at the Smart Araneta Coliseum last Saturday night, August 18. The GMA-7 actress-host gushed over Anne's performances at her 21st showbiz anniversary concert, saying on Instagram how much the Kapamilya star is an inspiration to many. #fangirlmode muna! . So happy I got to watch your concert, Ms. @annecurtissmith. Congratulations on your 21st year! You were amazing on stage! And can I just say.. sobrang cute mo po. Anne kulit mo; Anne adorable! I am just so glad to be able to witness how great of a performer you are. Tonight was filled with lovely songs and lit live performances. Anne galing mo! There are so many things to admire about you. Continue being an inspiration to many, Ms. Anne! ?? Maine wrote, "I am just so glad to be able to witness how great of a performer you are. "Tonight was filled with lovely songs and lit live performances. "Anne galing mo! There are so many things to admire about you. "Continue being an inspiration to many, Ms. Anne!" Maine then followed up this post with her black and white photo with Anne. She simply captioned this photo with a heart emoji. READ: Maine Mendoza on Anne Curtis: "There are so many things to admire about you."